What Is a Keratin Treatment and How Does It Work? Keratin is a protein that is the key structural building block for hair, skin and nails. Keratin is found in humans and animals alike in forms ranging from hooves to soft flexible skin. This shows you how strong and delicate keratin can be. 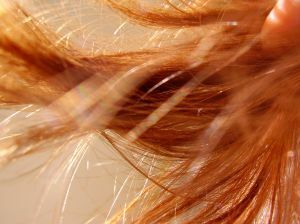 When the outer layer of keratin becomes damaged it affects the new cells that are no longer being protected beneath it. This causes damage in the form of dry, brittle hair or rough and cracked skin. Reversing this damage can be achieved with a keratin hair treatment. Keratin is used to smooth and fill in the damage of the hair's cuticle layer. Keratin is unlike a perm or relaxer in that it doesn't actually change the hair's disulfide bonds making it a semi-permanent treatment that lasts around 3 months, depending on the hair's texture. 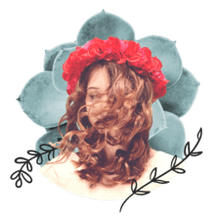 A Keratin treatment creates a barrier from heat and humidity so it can be a great treatment for clients that have perfectly healthy hair but are looking to have their natural curl and frizz smoothed out and protected from the elements. A keratin treatment will not remove the curl completely but it will cut your clients straightening time in half, if not more. Much talk has been made about the safety of keratin treatments. Not all treatments are considered equal. Tests found dangerously high levels of formaldehyde in the Brazilian Keratin Treatment (BKT) brand, about 10 times higher than what is registered as safe. A safer option is Keratin Shot by Salerm Cosmetics, a favorite among professional stylists. Keratin treatments are also safe to use on hair that has been previously highlighted or colored. Are There Other Products With Keratin on the Market? There are some great shampoo, conditioner and styling products on the market that contain keratin. Below are a few of my favorites. What Are the Best Relaxers for Damaged or Delicate Hair? Should You Get a Keratin Hair Treatment? Is a Texturizer Right for You? What Are Some Healthy Ways to Grow Your Hair Out Fast? What Can I Use for My Pre-Poo Treatment?